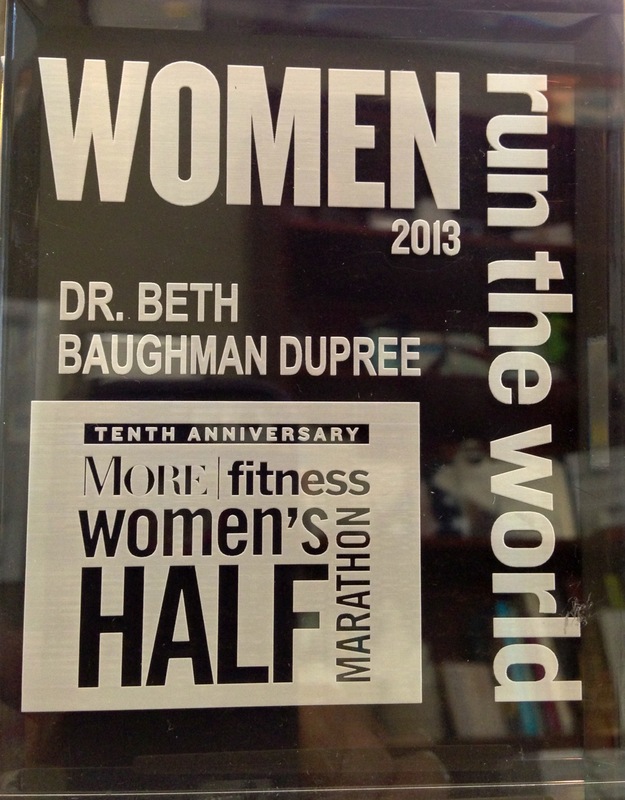 April | 2013 | "The Buzz"
It was January 15th, 2013 in Varanasi India when I received the email about being honored as one of “10 Fierce Females” at the 10th Anniversary of More/Fitness half marathon “Women Run the World” celebration. I decided that I would have to run the 13.1 miles in honor and in memory of each and every woman and man that I am currently treating or have ever treated who may not be able to run. I decided to RUN because I CAN! I am not a runner so this was going to be a challenge. Running has been difficult for me ever since I had a mid-forceps delivery 22 years ago (Clearly because my son Tom had a big stubborn head and some things never change!). 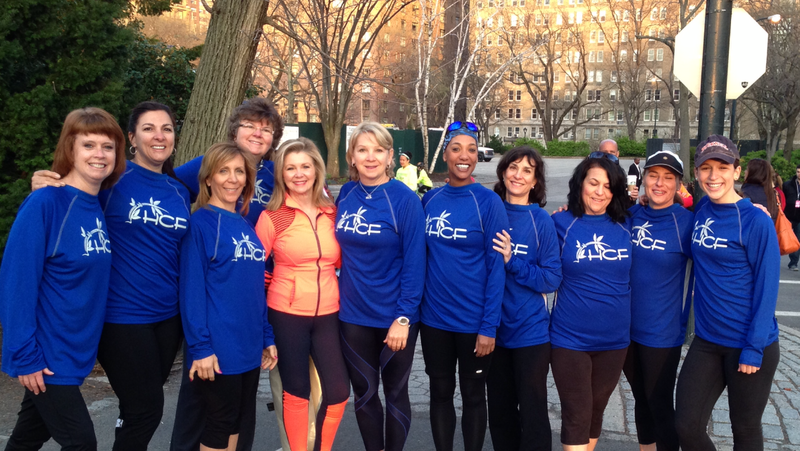 I started training and began to assemble my team of nine amazing women who would participate with me. From The Healing Consciousness Foundation, I asked our executive director (who is also my sister Ann), our Marketing director Brenda, our Redeemer Ministry Corps volunteer Catherine, and two major HCF supporters, Dorothy and Chantal. I asked my “Thrivers” Connie, Diane, Renee and Emme to complete my team. Just before the race, Emme unfortunately had to back out as her daughter needed mom on spring break. Connie’s friend stepped into the mix and Cara joined our team. The training began and for some, it was the first event of this magnitude that they had ever chosen to participate. 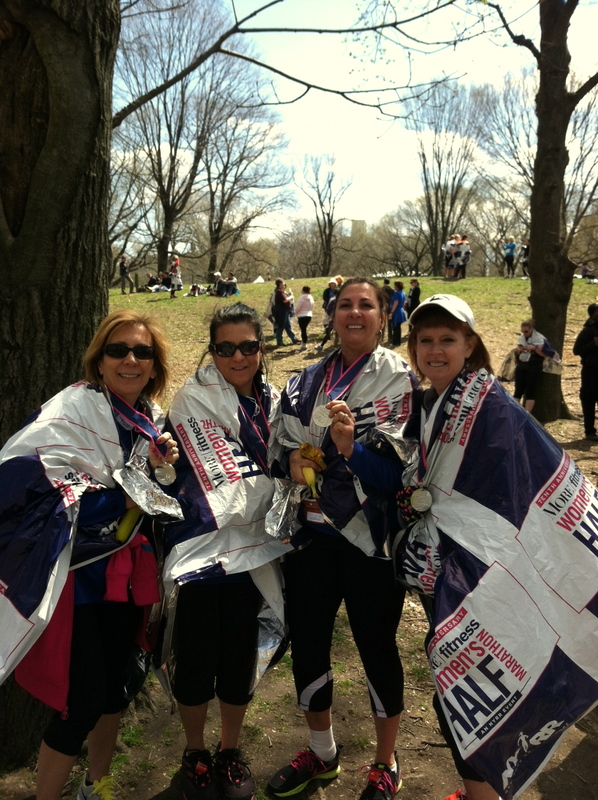 I ran my entire 13.1 miles with my two dear friends, Chantal and Dorothy. Dorothy could have left us in the dust but women are a different breed, we were all for one and one for all. They both kept me running for the entire 2 hours and 29 minutes. I love them for running this race with me. The three of us ran across the finish line holding hands and so proud of our accomplishment. 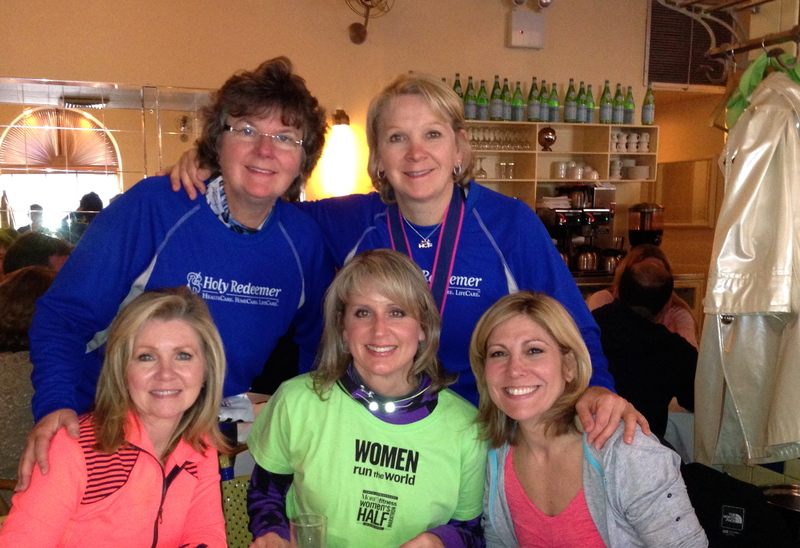 My “Breast Friend” Patients completed the 13.1 miles and did so with grace and gratitude for being able to run. U.S. Congressman Marsha Blackburn of Tennessee will be honored in the Government and Politics category. As a small business woman, author, mother, grandmother, and Member of Congress, Blackburn has dedicated her service in making Tennessee and America a better, more prosperous, and freer place. Danielle Butin, founder of AFYA Foundation, which supports ongoing health initiatives in Africa and the Caribbean by supplying critically needed surplus medical supplies, hospital equipment and humanitarian provisions, will be honored for her Global Relief efforts. Anna Maria Chávez, Chief Executive Officer of Girl Scouts of the USA will be honored in the Girls and Education category. Chávez is a lifetime member Girl Scout and an award-winning community leader. Chávez is the first Latina to lead the organization, a role she has held since 2011. Chief Petty Officer Hsiao-Chin Chiang, honored in the Armed Forces category, has been a Hospital Corpsman for 13 years with deployments shipboard and boots-on-ground in the Middle East. She has been Command Fitness leader since 2007, and has participated in several marathons, including five Marine Corps Marathons. Linda Descano, CFAÒ is being honored in the Female Business Leader category. Linda serves as a Managing Director and Head of Digital Partnerships, Content and Social for North America Marketing at Citi. In addition, Linda is also President and CEO of Women & Co., a service of Citi that brings women relevant financial content and thoughtful commentary to get them thinking and talking about money. Dr. Beth Baughman DuPree, Medical Director of the Breast Health Program of Holy Redeemer Health System will be honored in the Women’s Heath category for her passionate efforts in encouraging her patients to integrate healing therapies, whether it is through spiritual guidance, grief counseling, fitness programs, acupuncture, nutritional counseling, Reiki, Yoga, or massage. She is the founder of The Healing Consciousness Foundation that provides funding for these essential healing therapies. Jill Eisenhard, founder & executive director of the Red Hook Initiative, will be honored for her extraordinary relief efforts in the aftermath of Hurricane Sandy. She created a model for community development and social change that paves the way for residents to empower themselves and change their neighborhood. Jenny Fletcher, a model and Triathlete who earned her first-ever professional victory at the 2012 IRONMAN 70.3 Branson, will be honored in Women’s Sports category. Elisabeth Hasselbeck, the Emmy-winning co-host of The View, celiac, founder of NoGii and best-selling author of the “G-Free Diet” and “Deliciously G-Free”, will be honored in the Media category for her fervent support of women’s health and fitness in the media. Courtney E. Martin, will be honored in the Women’s Empowerment category for her efforts in reinventing feminism through her books, speeches and blogs. She is Editor Emeritus at Feministing.com, Founding Director of the Solutions Journalism Network, and speaks widely on Millenials’ re-imagining success and social change. 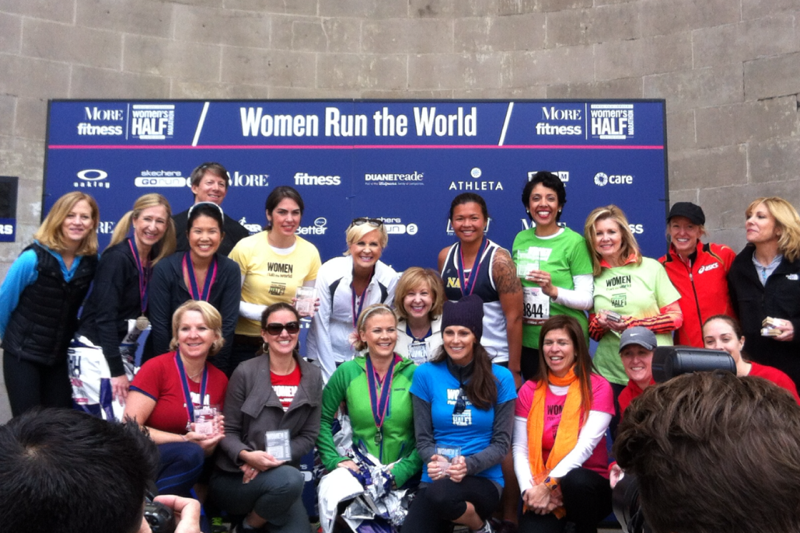 Mika Brzezinski and Allison Sweeney were the co-hosts who ran the race with GUSTO!! I had the opportunity to have some quiet quality time with two amazing Congresswomen at lunch immediately after the race. Renee Ellmers (R-NC) and Marsha Blackburn (R-TN) are passionate public servants. 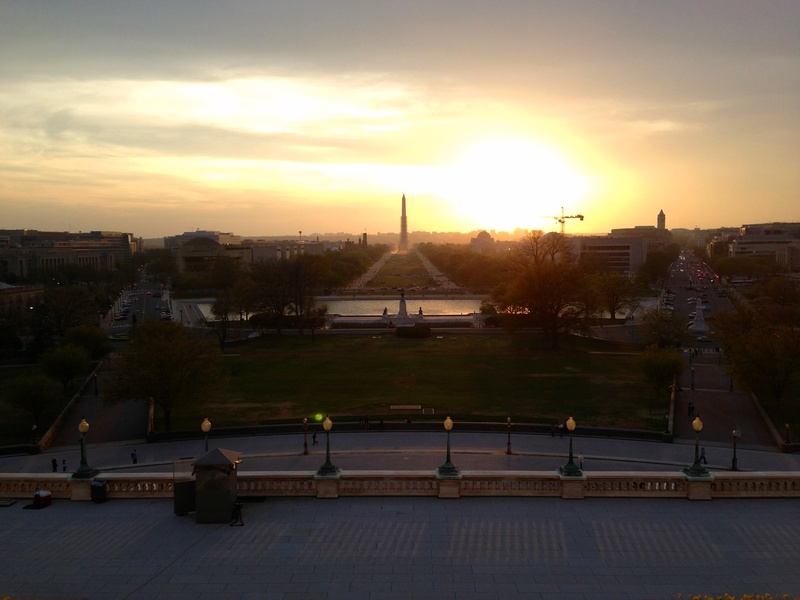 They are working to create sustainable changes in Washington. It was apparent that we all have the same common goal in health care reform and delivery. 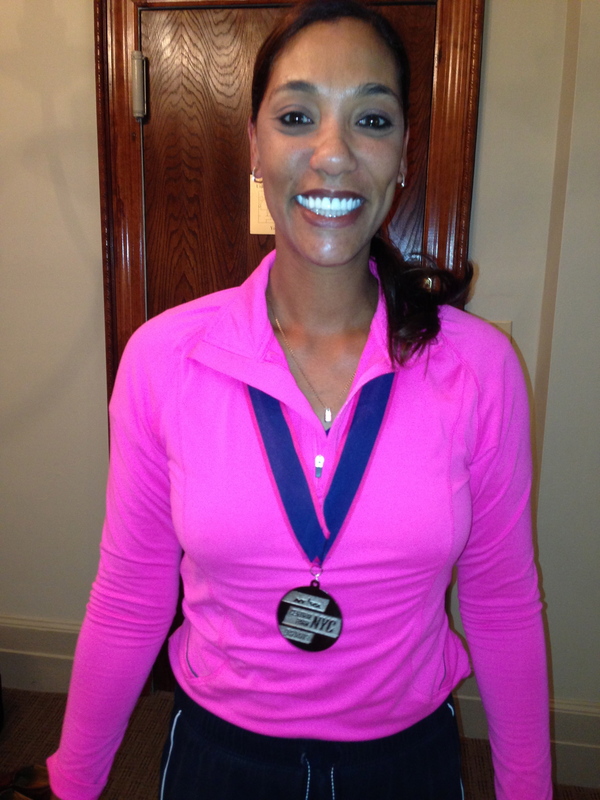 Running 13.1 miles was an amazing “feat of de feet”. The sense of accomplishment was quickly overshadowed just 24 hours later by the darkness of the Boston Marathon Bombing. The fear and lack of love that drives a soul to do the unthinkable acts that occurred in Boston was sickening. 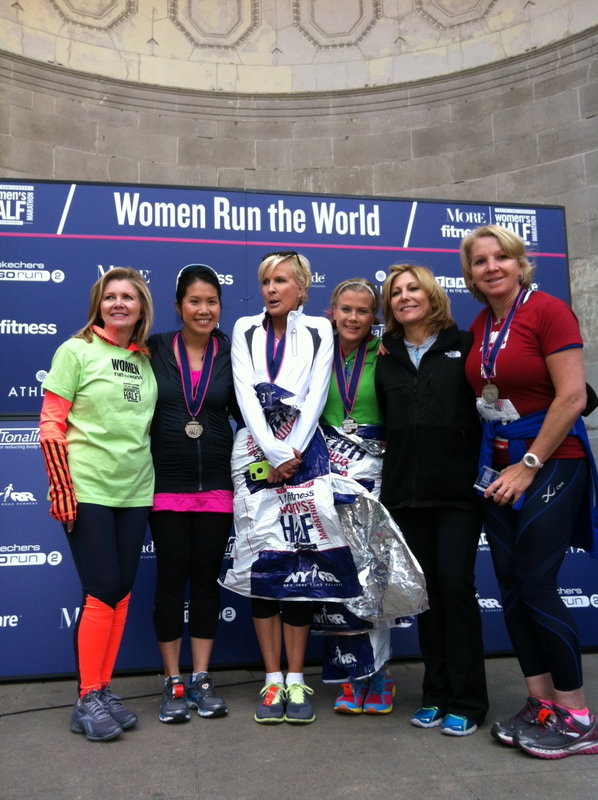 It is my hope that the women that ran in central park and the other women that were honored at the More/Fitness Half Marathon continue to “Run the World” without fear. We need to run in the fitness sense to care for our bodies and spirit and we need to run the world as game changes so that we can fill the world with LOVE and alleviate fear. I am so grateful to Lesley Seymour, Editor of More Magazine, and Betty Wong, Editor of Fitness Magazine, for allowing me to be part of this celebration of the “Divine Feminine” (If you are not readers of their magazines you need to be!!). You may not believe it but as much as I love being on a stage or on TV, it’s hard for me to be recognized for things that I do from my heart. I got tons of practice this week and I am so humbled and honored to be recognized for doing what my heart sings. I am sitting on NJ Transit on my way home from Manhattan and just have to take this hour to reflect on the many blessings that have been bestowed on me this spring. When I was on my journey to India, I received two emails just days apart telling me of two amazing honors that ended up happening with in 3 days of each other this spring. 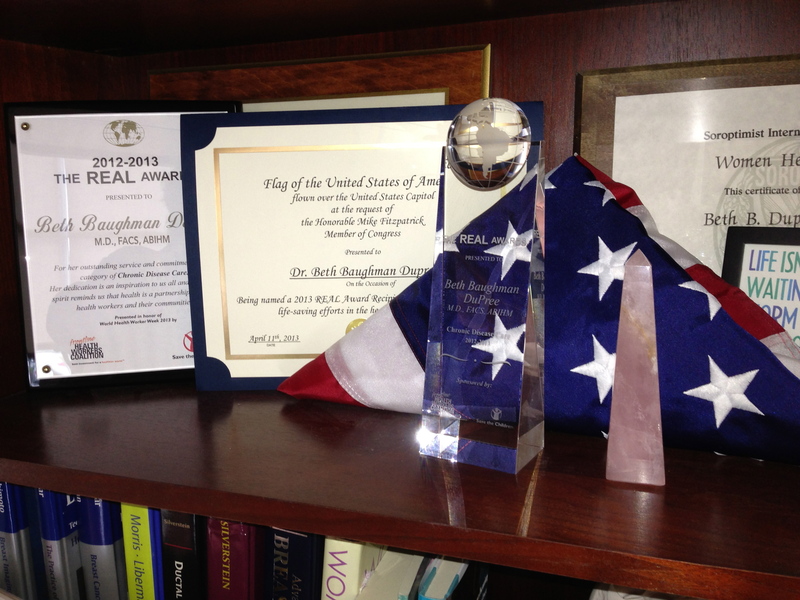 The first honor was being named as one of the inaugural REAL award recipients in the chronic disease category. (www.therealawards.com, www.savethechildren.com). I was nominated for this award by Diane Gesualdi but was not aware of it until a few weeks into the process. She found out about it from her son whose company happened to help design the web contest. He thought she might want to nominate someone but forgot to tell me that she had chosen me. This nomination came directly after The Philly Health Hero contest so I could not go back to asking friends and family to vote for me daily on Facebook. Instead, I kissed it up to God and made it to the point where I received an interview. Never expecting to be chosen for this amazing honor, I was simply delighted to be nominated. On April 10th I headed to Washington D.C. after giving a talk to Pennsbury High School’s Wink4Pink Club (An amazing club that raises awareness for breast cancer and has funded breast cancer charities such as HCF in the past). Traffic on I-95 was wicked! Dr Catherine Baker was driving her fab Volvo (90-degree record-breaking day, traffic jam, accidents, and NO AIR CONDITIONING). My thighs were hermetically sealed together when we arrived in DC as I had on a dress and was a total sweat monster. We were supposed to make it to the hotel by 1130 to head to the White House for a briefing on global health and where initiatives stand with Save the Children. We missed the buses but that did not stop us! We pulled up to the entrance and I got out as Stephen, Catherine, and Julia found a place to park. We made it in with about 10 minutes to spare and were able to participate in the briefing. Although it was a cool experience, President Obama’s aide, Roberto Rodriguez, did not even begin to answer my question about how the government and the “Unaffordable“ Care Act, as I call it, plans to deal with the fact that young adults who want to go into medicine will never be able to pay off their loans. The interest on medical school loans is 9% and the costs are through the roof. He must not have liked my question as he gave some half baked answer about how states will have to start picking up the tab (BLAH, BLAH, BLAH). At least I raised awareness in the room for the pressing issue of our future physician shortage (Shame that everyone will have coverage and there will not be enough physicians to treat them!!). That evening we participated in the welcome reception and Stephen Pope, my son Tom’s BFF, got to meet some important people for his future. He is leaving for Mozambique in a few weeks and made some vital connections for his future and his next 28 months in South Africa. We then took off for a tour of the cherry blossoms, which so kindly waited an extra two weeks to come out and bless us for our time there. My evening was cut short when I realized I had to drive to Dulles to pick up my older son who was flying into join us. By 10:30, all the DuPrees were save and sound at the Hyatt. Thursday morning, my day began with disgruntled sons and husband wondering why they were sitting in a conference for Save The Children learning about how to go to Capital Hill and advocate for issues that had ‘nothing to do with them’. They admitted that they felt ‘duped’ as they were under the impression they were there as I was being honored. Truth be told, they were partly correct as I really had no idea what the Save the Children Advocacy Summit was really about, I just knew that we were visiting the Hill and discussing an issue regarding kids (both domestic and abroad). My boys were pretty testy until I received a text and a call from our amazing Congressman Mike Fitzpatrick, who offered to meet us for lunch and some face-to-face time. Suddenly, the day was not so bad and the thought of missing classes for this was sounding better. Happy to have my family there with me! 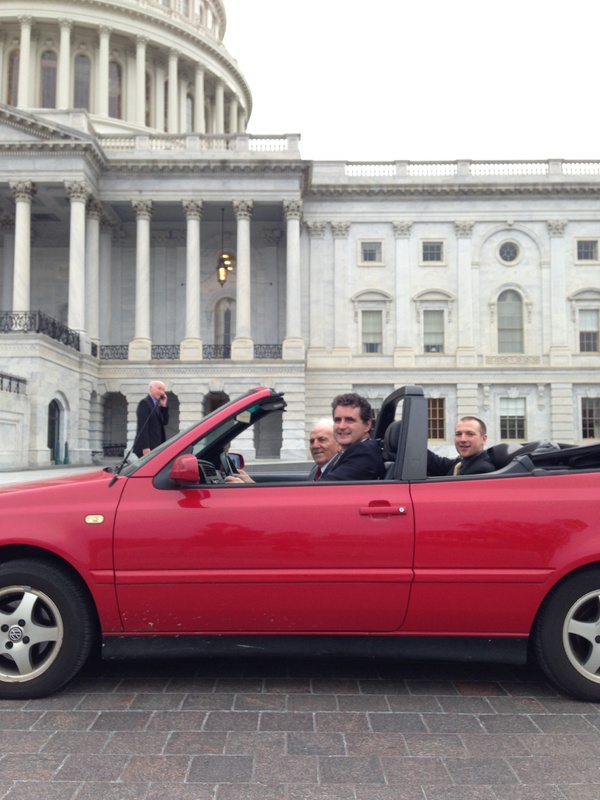 Congressman Fitzpatrick knew that my sister and father were en route from York, PA but had hit some traffic. He was trying to make my family’s day special and he went above and beyond to create an experience that my father, Irv Baughman, and my sons will talk about forever. We had started lunch before they arrived, as Congressman Fitzpatrick had to go back to the floor to vote on some pending legislation. We took the opportunity during lunch to discuss Resolution 135 in the House regarding Front Line Health Workers. Congressman Fitzpatrick had already signed on after being told about it a few weeks earlier. We then discussed Senator Toomey’s Gun Bill regarding background checks and Congressman Fitzpatrick wanted to know what we thought (all thumbs up at the table). When Ann and Dad arrived Congressman Fitzpatrick came outside with me and had them go in to begin eating and he parked my Dad’s car. My dad, the history and political junkie, will forever be able to brag that a sitting Congressman parked his car! At this point it was 1 PM and he had to go to the Hill, but offered to give us a tour of the Capitol after hours if we were interested. All in favor? 8 yea and 0 nay, the motion carried. From this point, the day flew. We had three appointments with three additional legislators. Congressman Scott Perry (R- PA), Senator Bob Casey (D- PA) and Congressman Pat Toomey (R- PA). All three meetings could not have gone better as we were able to educate each office about the legislation and its ramifications for global and domestic heath care. 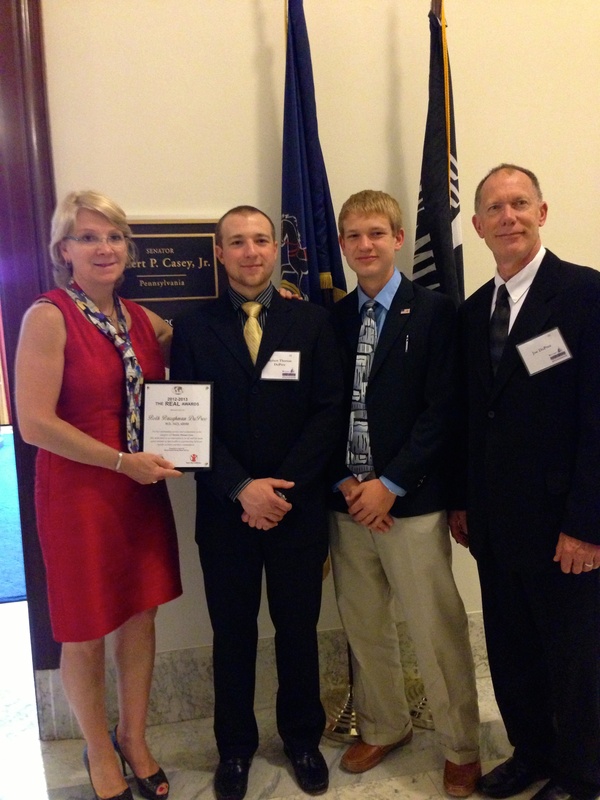 My sons and husband were able to see our government in action. At each office we were able to connect and potentially create change, ten minutes with a voice can impact the world. At 4:30 we made our way to the Hart Building, 9th floor for The REAL Awards Ceremony. I was so blessed to have my family,friends, patients, Congressman, and spiritual family in attendance. All of the recipients of the REAL awards had done such amazing things and they all deserved to be honored. I was so honored to be a part of that group. 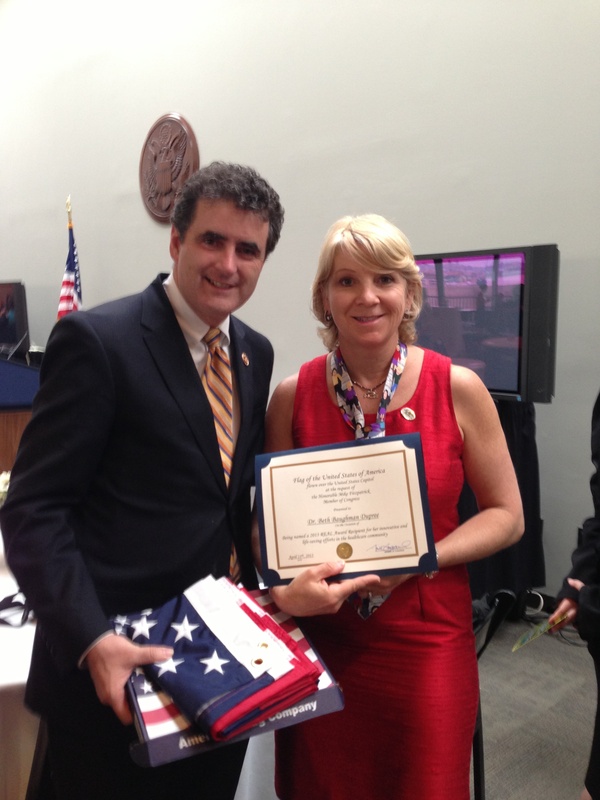 Congressman Fitzpatrick came to present me with my award and an American Flag that had been flown over the Capitol Building that day. It was yet another unexpected gesture. Then, the best part of the 48 hours began. We started our personal ‘after hours’ history lesson as we walked through the Capitol Building with our educators, Irv Baughman and Mike Fitzpatrick. 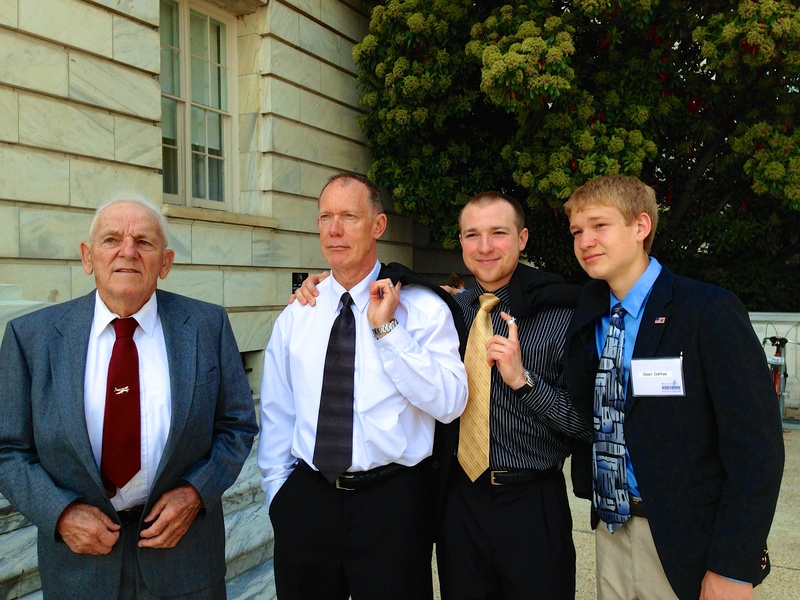 It began with my Dad being chauffeured to the entrance in the Congressman’s VW. My Dad is 84 and he is just not as spry as he used to be so the ride was so appreciated. The distances between buildings can be trying if you are ‘mature’ and tire easily. Yet more bragging fodder for Irv! Over the next hour I watched, listened and experienced our Capitol in a way that I had never been privy to on my prior visits. Imagine being in the rotunda of the Capitol without all of the people! The history and stories that were imparted to us were simply divine. 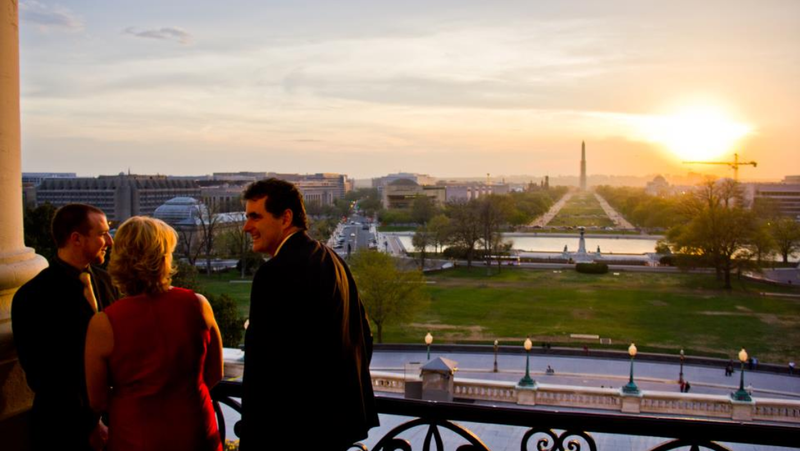 Congressman Fitzpatrick not only knows American history, he knows things about the Capitol that simply intrigued us. He took us to the Speakers’ balcony, the Hall of Statues (the original Congressional Hall), and the Congressional Women’s Reading Room, thanks to Virginia Fox (R-NC). I think that the Discovery Channel would have loved to be on our tour and I wish I had videotaped the ‘Capitol hour’ as it was PRICELESS. My father had an exceptional day, and, at 84, to give your parent a priceless memory is a big deal. A true public servant, Mike Fitzpatrick made my REAL Award day into a REAL experience that my father, friends, and family will never forget. I always knew he was a great man, but hearing his passion for history, his dedication to serving his district and his desire to be a positive change agent in a some what dysfunctional Washington D.C., he is even higher on my list of great human beings with whom I am proud to walk this planet!